As the Tour of Flanders approached this week, we had a list of contenders nearly as long as the race list itself. Sagan, Van Avermaet, Stuyven, Vanmarke, Van Der Poel, Demare, Moscon, Rowe Van Aert, Stybar, Jungels, Stannard, Kristoff, Gaviria, Matthews, Lampaert, Naesen, Benoot, Langeveld, Trentin, Haussler, Mohoric, Degenkolb, Terpstra; the list just went on and on and on, of guys who could get in the mix on the day. All without a top dog too, as the closest thing we had to a betting favourite was merely “someone from Deceuninck-QuickStep will probably win”. As Cycling fans, we’ve trained ourselves to see a list like that and assume the racing will be excellent. 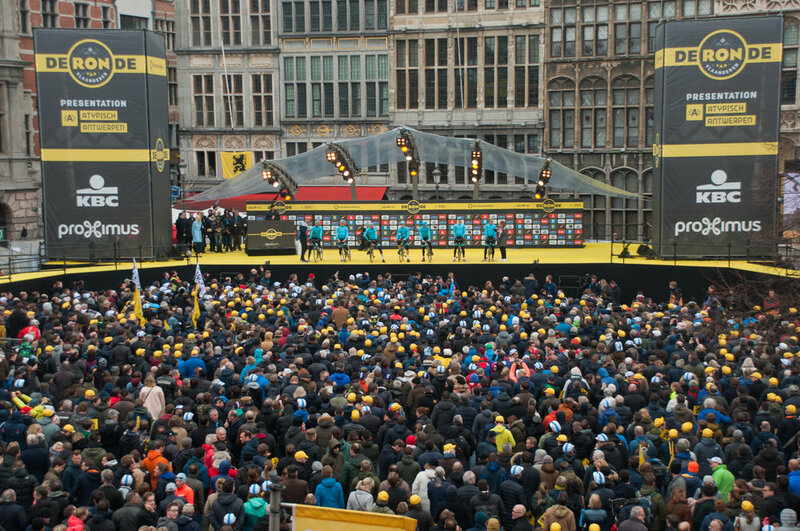 The hype heading into this year’s race was about “the most open Flanders in years”, and if we define openness by the number of contenders with a genuine chance, then sure. But it wasn’t especially open racing. In order for the race to flow, there has to be some sort of narrative, and the presence of a dominant figure or two is a natural part of that. The great editions of Paris Roubaix and De Ronde in recent years have featured a central character; last year at Roubaix it was everybody watching for Peter Sagan, at Flanders, it was about trying wrestle control from QuickStep as they hit the race repeatedly until Niki Terpstra broke through. When there’s no one figure that the race is centred around, you end up with a race like this year’s Flanders, which didn’t really feel fulfilling for the bulk of the race. Quick-Step were present, but their top chances were just missing 3% on the day. Stybar faltered early, as did Gilbert. Jungels hung around but wasn’t able to break it open like we know he can. Asgaard was valiant, and sneaky in the finale. But he was also cooked from a day spent working for leaders that didn’t show up. Lampaert was present in the finale, but he’s not going to break open the race. Sagan has been slightly off all year long. With an injured tail-end to 2018 and an ill run-in to this campaign, he hasn’t been able to hit the same heights he usually does, which is something he’s acknowledged. He’s usually the Luke Skywalker to Deceuninck-QuickStep’s Galactic Empire. (I think that makes LeFevre the Emperor, and we’ll let Boonen be Darth Vader). Without either of those characters at full force, you just get 6 hours of Ewoks fighting in the forest; you’d think that would be fun, but it would actually just be chaotic and not in a good way. Though the tension was ratcheted up after the Muur, and the race was chaotic from there, it never really climaxed. Asgaard and Van Baarle tried their luck, but the move never looked a chance to stay away. While Bettiol’s move was fearsome as he blasted up the Oude Kwaremont, you always felt like the race was only an organised five minutes of chasing away from coming back together. With the race’s main favourites so even and the majority of them cooked from a day on the bike that was unbelievably tough (as Flanders always is), the race just never clicked into top gear. It feels sacrilegious to call Flanders “boring”, but it can often be the equivalent of a queen stage in the Giro or Vuelta. Sometimes the racing is just so hard, that it neutralises itself. We’ve seen that happen year after year in Liege Bastogne Liege; hence their current identity crisis, and a new course for the upcoming edition. It wasn’t a great Ronde. But that’s ok; it gives us a chance to focus on Bettiol and EF-Education First. As stated on our weekly unpack by Clem, “They’re a team that's always there, but they just don’t really do anything.” Well, my giddy aunt, they were doing a bit on Sunday. If you were handing out votes for the best on the ground, you’d probably give two of them to Sep Vanmarcke. As one of the sport’s great nearly-men, it would have hurt to see his young teammate breakthrough and take his first win at such a huge race. But he couldn’t have done that without Vanmarcke, who laid it all on the table to help launch the move. He's a guy that hasn't been able to hit the heights that many of us thought he would when considering his talent. But if someone with his talent is a soldier in races like this, then EF will be doing pretty well. Bettiol went with ferocity in the finale and never looked back. He spoke after the race about the run-in being the longest ten kilometres of his life. In a race that was crying out for someone to grab it by the balls, he reached out and showed some courage. If that doesn’t make him a lion, then I’m not quite sure what will.